Post-acne pigmentation can last for months. People tend to think that all of these marks are scars; however, this is not the case. True acne scars won’t fade with time. Post acne pigmentation occurs as a result of inflammation. It isn’t acne bacteria that cause the inflammation. It is actually the immune system that causes inflammation to occur. 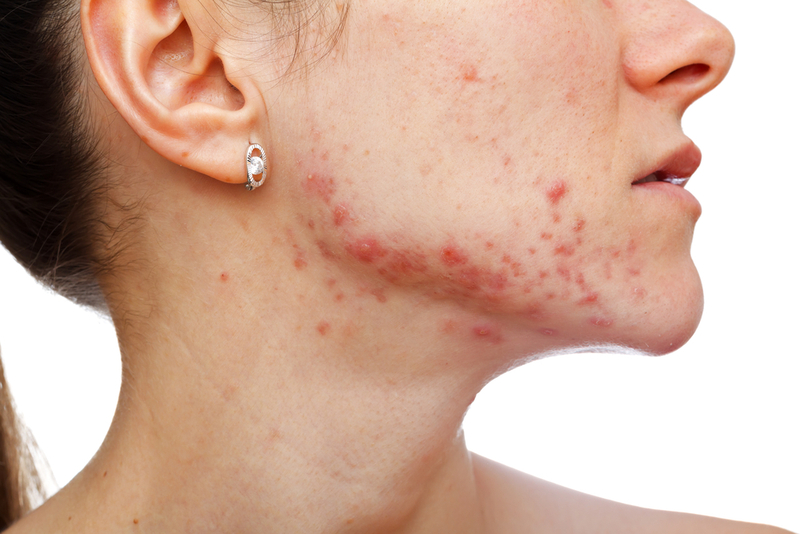 This happens as a result of the chemicals acne bacteria secretes. It’s best to keep pores open to avoid inflammation from occurring in the first place. Gently wash face, use steam and other methods for keeping facial pores open. There are times when it’s unavoidable, although. Post acne hyperpigmentation happens, but there are a few things that can be done about it. Lasers are highly effective at treating post acne hyperpigmentation. There are many kinds of lasers. Some lasers, such as those that use green light, can break up melanin, which is the source of many forms of discoloration. For actual scarring and complete skin rejuvenation, CO2 fragmented lasers are beneficial. CO2 fragmented lasers don’t destroy the upper layers of the skin as a whole, but these lasers place tiny holes in the skin to effectively cause its rejuvenation. This procedure requires very little downtime and produces amazing results, which is why it’s preferred. If laser therapy isn’t an option, peels can have promising results, but the process takes longer to do. Glycolic, salicylic and lactic acid peels help to remove the upper layers of the skin. The underlying skin becomes the surface and new levels of skin are created. This helps to generate collagen and reveal skin that has been unaffected by discoloration. Salicylic and glycolic acid are most effective. Lactic acid achieves the same results, but it occurs at a slower pace. Peels can dry out the skin, so it’s best to proceed with this solution with caution. Also, peels can unevenly darken the skin for those who have darker skin to begin with. Prevention is key. It’s better to avoid discoloration if at all possible. While trying different methods to reduce discoloration, some methods to reduce discoloration can actually increase it. It depends on individual skin types. In an effort to clear pores, people try using harsh cleansers or astringents to reduce the amount of sebum and pore contaminants. However, this can exacerbate sebum production, which can cause pores to become more clogged. In turn, this can cause more discoloration. Gently steaming the face can help to clear pores without overstripping the skin of its moisturizing oil. Using gentle cleansers or splashing the face with water every so often helps the skin to remain balanced and can help to keep pores clear. Post acne hyperpigmentation can take months to fade. The quicker the surface layers of the skin can be removed from the surface the quicker the discoloration will fade from the skin. Skin bleaches can also help to lessen discoloration. Whichever method is used, it’s best to avoid sun exposure to prevent darkening the skin again.